Our uncompromising approach to safety requires carefully trained and well-equipped people. It is the foundation upon which our company is built. From this foundation we are assured that safety and health will be integrated into all of our business practices. 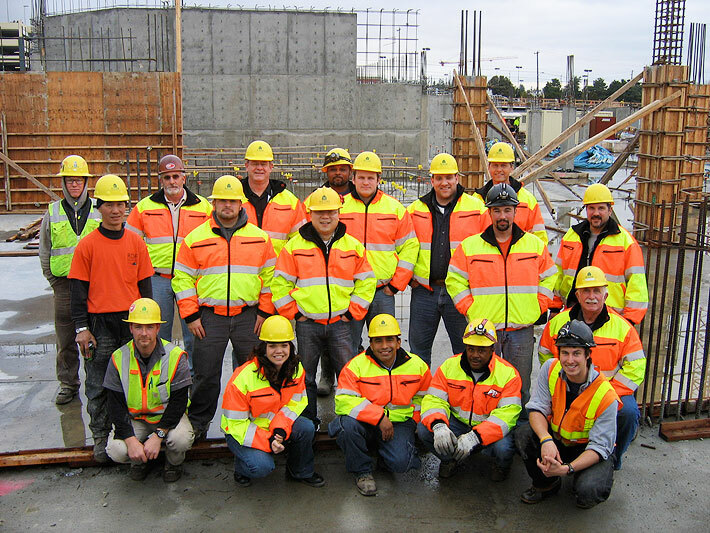 The safety and well-being of our employees is directly related to our ability to provide excellent construction services. Safety is woven throughout our business day, in pre-construction meetings, new hire orientations, task-specific training, and Monday morning safety meetings. This ensures that our most important assets, our employees and subcontractors, remain uninjured. We pay equal attention to the safety of all people conducting adjacent activities, whether they are neighbors, pedestrians, staff or visitors. Walsh Construction Co. works in partnership with OSHA to ensure a safe work environment for all employees and subcontractors. For many years, we have worked closely with the agency and have served on advisory groups in Oregon to achieve a safer work environment for all workers. The entire WALSH Safety Team has worked diligently to provide a safe work place and we celebrate our successes and critically analyze our shortcomings. While we are pleased with our recent history, until we have no accidents and no time loss, our work is not complete. “Safety – there is no off season." We think safety: every week, every day, every hour. Our commitment to safety extends beyond the confines of the jobsite and involves the entire neighborhood in which we are building. Careful planning, construction phasing and experience with safety and site management allow us to run even the largest construction site with the utmost attention to the safety of all workers and persons in the neighborhood. The driving force is to reward and recognize positive, safe behavior. Much of the construction industry records safety-related information in a negative light – number of accidents, number of days lost, etc. What WALSH does is flip that focus, so that everyone involved in a project looks for, sees and recognizes employees who work safe and who make the effort to change what could potentially be unsafe behaviors.